With the exhaust being tucked away on the underside it’s not always easy to see problems developing – unless you listen carefully. If you hear odd noises coming from your exhaust – a roaring, hissing or chugging noise for instance, or a rattling or metallic vibration then bring your vehicle in to us for a quick diagnosis. 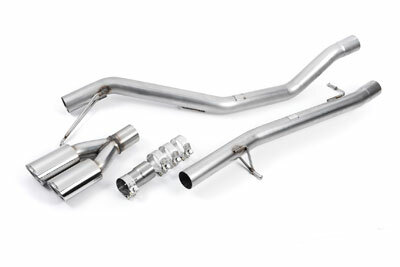 We are all trained exhaust specialists will be able to diagnose the issue and get you back to quiet motoring once again. If the fault has been discovered early enough, we may be able to replace a small part of the exhaust system saving you time and money. How long your exhaust lasts for depends on how far and how often you drive your car rather than the length of time it has been fitted. Vehicles used for short trips around town tend to corrode their exhausts in a much shorter time and distance than cars used predominately for long journeys. Whatever kind of driving you do, it’s always a good idea to keep an ear open for changes in your exhaust noise. If you do detect a change, just drop in to see us for a free exhaust check or give us a call on 01274 618093.